After a 13 hours drive we arrived in LA ZAD. We were checked by cops on the highway but not near Nantes or La ZAD. It was more a kind of daily routine check under the French state of Emergency, cops annoying people because they cause traffic jams with their ID controls. 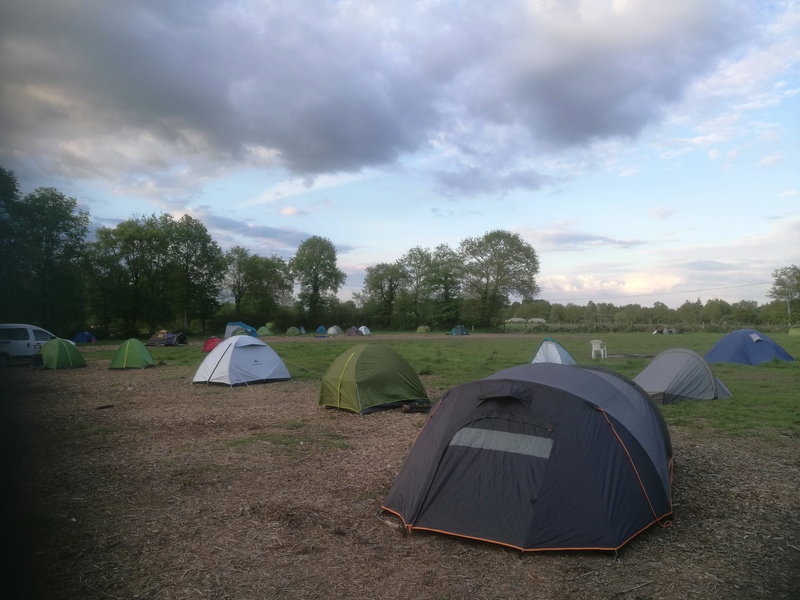 When we arrived at La ZAD we builded up our tent and than went to the assembly. One of the things that were discussed were fascist threats against the ZAD. The ZAD live ticker already published that fascists were mobilizing on Facebook to attack La ZAD. After the assembly we changed clothes and joined people at one of the new barricades near La Gree. I noticed that since the last time we were at La ZAD, the barricades in this area were much stronger now. Deep and wide trenches and a series of barricades on the road where the cops attacked people Wir armored vehicles and a water canon 2 weeks ago. We guarded the front barricade to defend La ZAD from possible fascist attacks and we checked some other parts of La ZAD but we didn’t see any fascists last night. A lot of people used the time to make the barricades even stronger, so the fascists didn’t waste their time with their threats. After a long day of driving we had to sleep a bit. Tomorrow we will start recording audio material for several podcasts and support the people here. Stay tuned. #ZAD #NDDL April 29: Cat and mouse with the cops – Enough is Enough!